!! OMG, how uncomfortable: Corset rings !! I fail to see the purpose of this type of corset since it does absolutely nothing for your waistline, but to each their own! See a couple more after the jump if you dare! 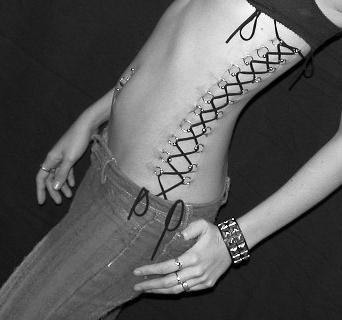 2 Comments on "OMG, how uncomfortable: Corset rings"
piercings are meant to be temporary, but they still gross me out!